2001: A Space Odyssey is a 1968 epic science-fiction film produced and directed by Stanley Kubrick. The screenplay was written by Kubrick and Arthur C. Clarke, partially inspired by Clarke's short story "The Sentinel". 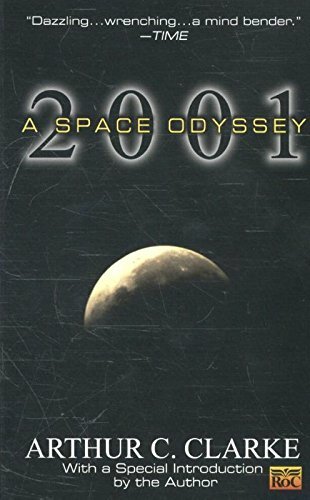 The film follows a voyage to Jupiter with the sentient computer Hal after the discovery of a mysterious black monolith affecting human evolution. It deals with the themes of existentialism, human evolution, technology, artificial intelligence, and extraterrestrial life. It is noted for its scientifically accurate depiction of space flight, pioneering special effects, and ambiguous imagery. It uses sound and minimal dialogue in place of traditional narrative techniques; the soundtrack consists of classical music such as "Also Sprach Zarathustra" and "The Blue Danube". A Space Odyssey initially received mixed reactions from critics and audiences, but it garnered a cult following and slowly became the highest-grossing North American film of 1968. It was nominated for four Academy Awards and received one for its visual effects. Today, 2001: A Space Odyssey is widely regarded as one of the greatest and most influential films ever made.